1. The control panel for the ringing generator offers complete control over all aspects of the waveform generated. 2. Shows measurements of the line voltage and loop current. For sinusoidal wave shapes the load impedance is calculated and displayed. A low current (uA) range allows the AI-7160 to perform leakage current tests. 3. Flexible output configuration with adjustable source resistances. Both metallic and longitudinal testing is supported. 4. Constant monitoring of the line state of the connected terminal equipment. 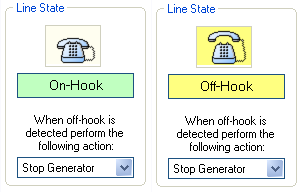 Upon detection of an off-hook condition the ringing generator can be stopped, muted for the off-hook duration, or maintain ringing (within current drive limits). 5. 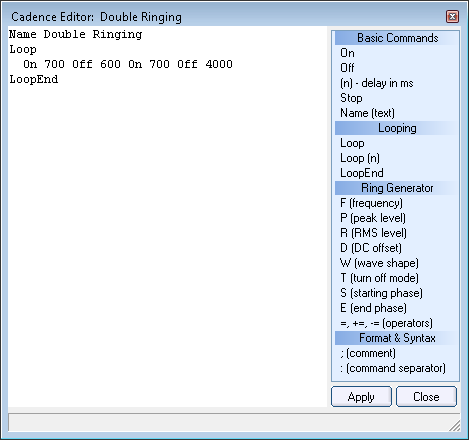 Ringing cadences are programmed with a simple script. In addition to controlling timing, the script can adjust other parameters such as level and frequency, all while the ringing generator is active. 6. 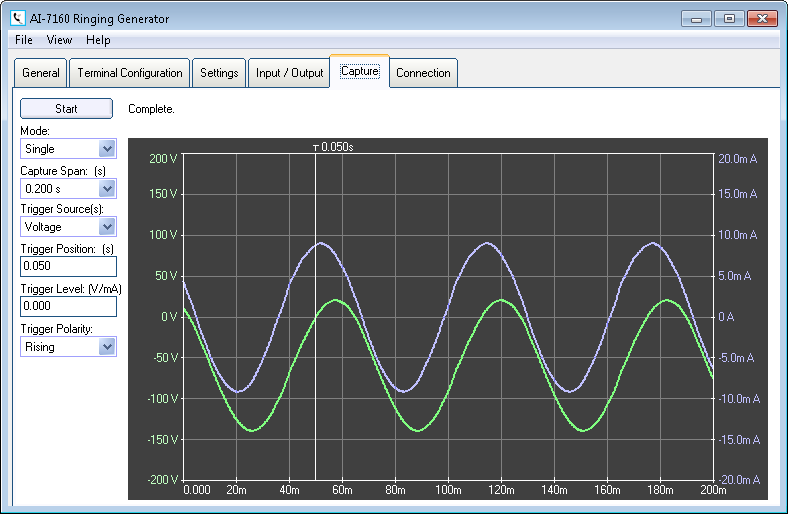 A basic waveform capture supports viewing of the line voltage and loop current.